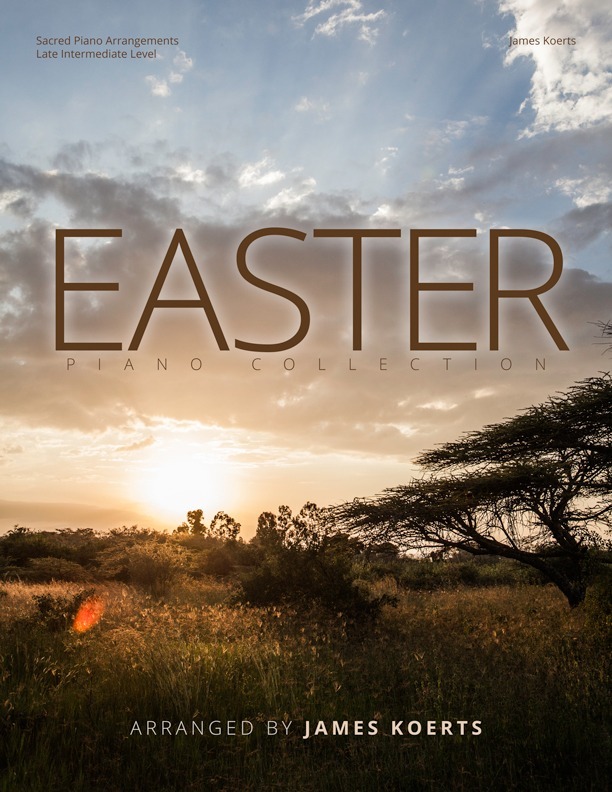 Get a new piano hymn arrangement delivered to your email each month. Join today for $25 a year. We regularly hand-pick some of the best new, and existing music items that we think deserve a little special attention! 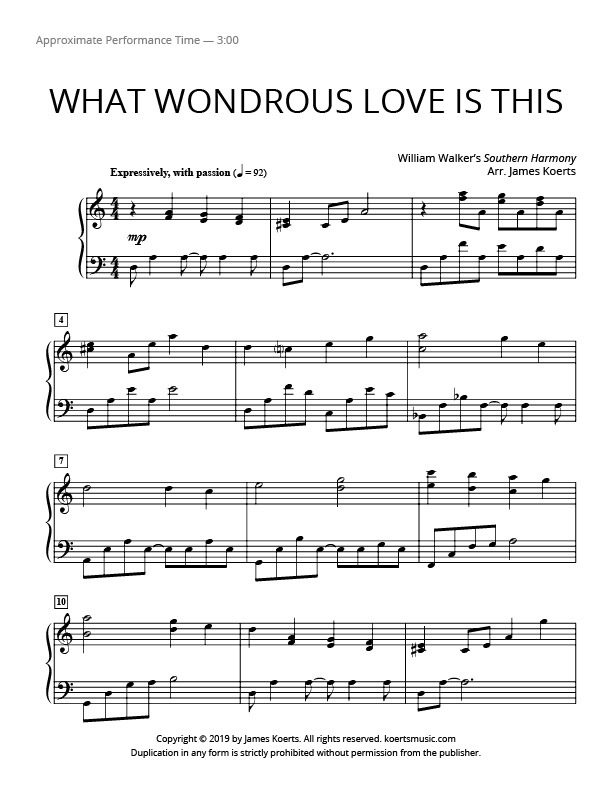 Checkout the latest sheet music to be added to our site, or click here to view all items. 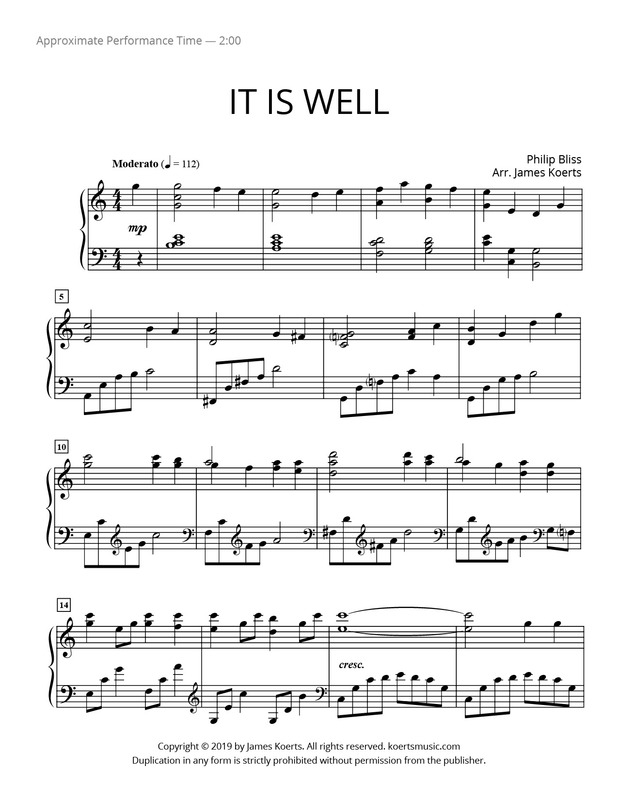 All of the sheet music is delivered to your email. Access your email links for up to 72 hours after you receive them, or register on the site and access them indefinitely. Your files are PDFs, which are universally recognized. Should you have a question or encounter a problem, reach us directly through the contact form. We typically resolve issues within 24 hours. Your satisfaction is our guarantee! Once you download your files, you are free to use them whenever and however you want. Store them on your computer or on the cloud. Print them out or access them on your tablet. These are all hallmarks of Koerts Music. Our goal is to equip you with the very best tools to ensure your effective ministry. And we hope to keep you coming back! Join the James Koerts Piano Club! 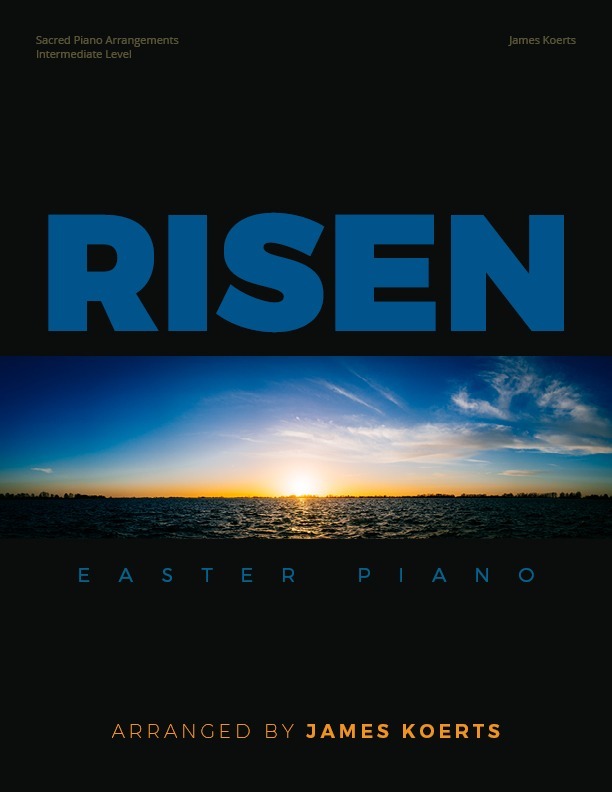 1 year access to monthly piano hymn arrangements delivered to your email. 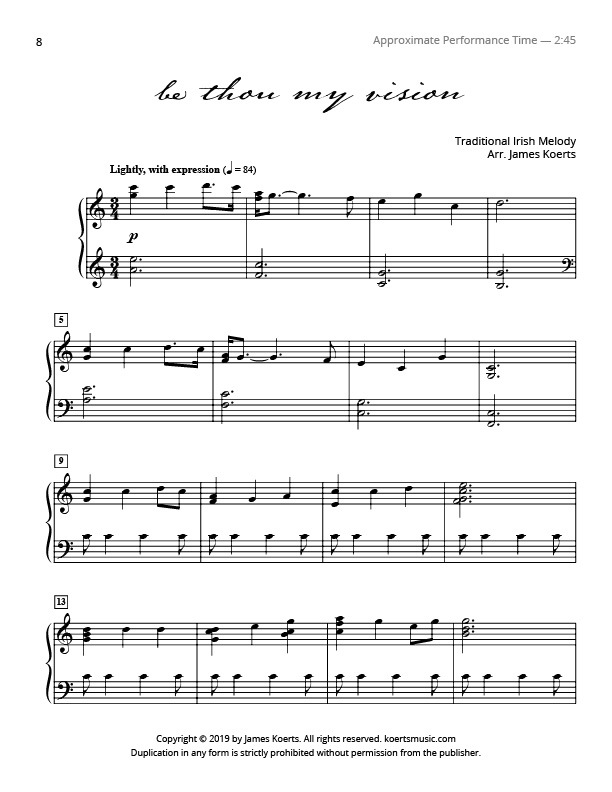 New Monthly Piano Arrangement	Monthly email provides access to pdf download. 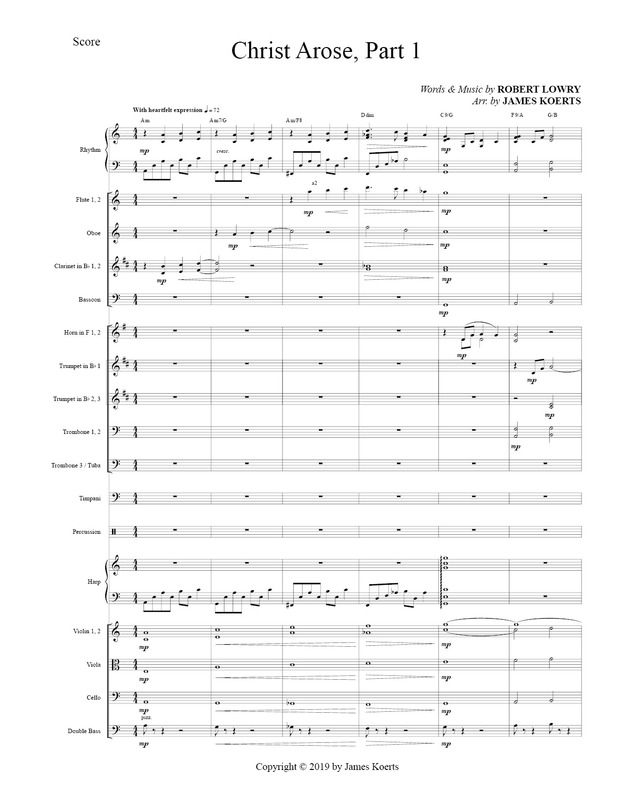 Audio Demo	Hear a professional recording of the monthly arrangement. Inspirational Message	James writes a few encouraging words about the piano arrangement. Members Only Facebook Group	Join our community, give suggestions, and join the conversation. 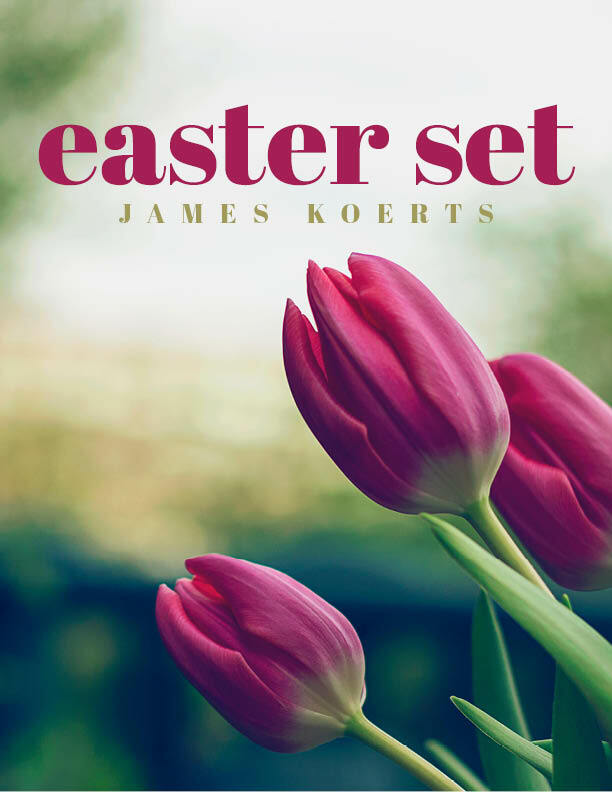 10% Member Discount	Members receive 10% off all purchases at the Koerts Music store. You use fresh sounds in your writing. 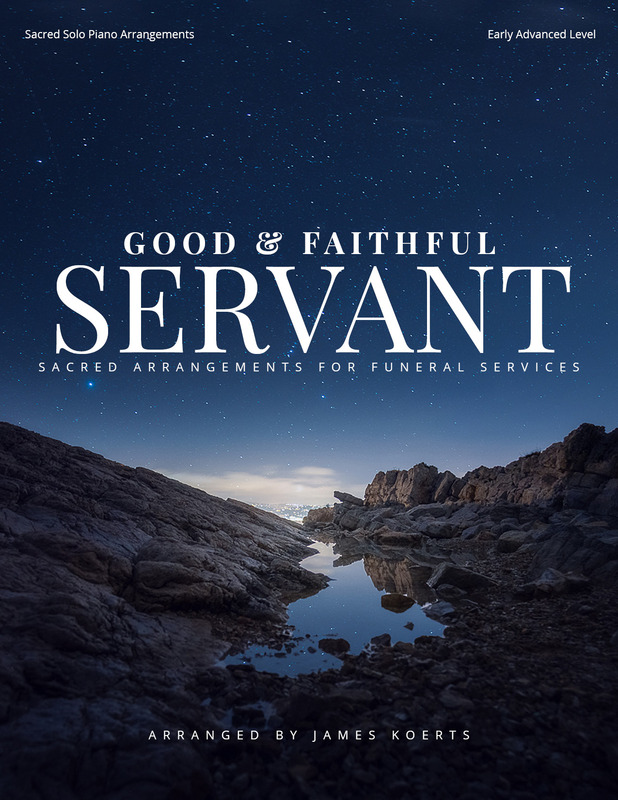 Your arrangements have clean melody lines, but they aren’t too simple. 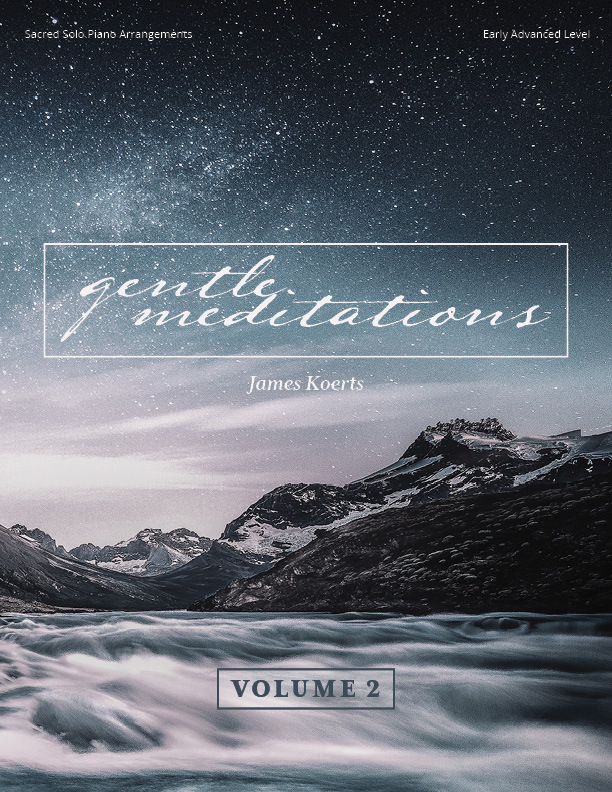 One word to describe James’ music is “Refreshing.” The songs and arrangements always seem to calm and uplift my spirit. 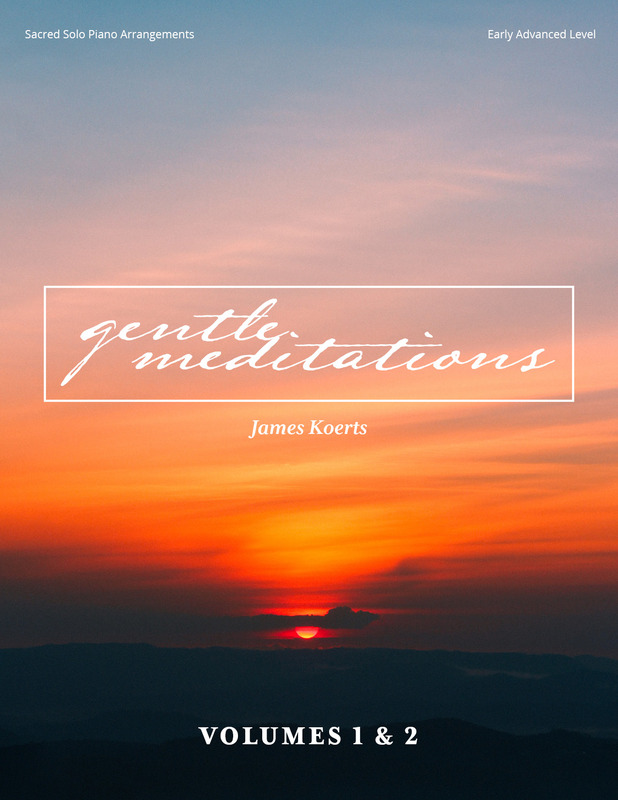 Koerts consistently demonstrates skill in performing, writing, and arranging in a variety of styles. 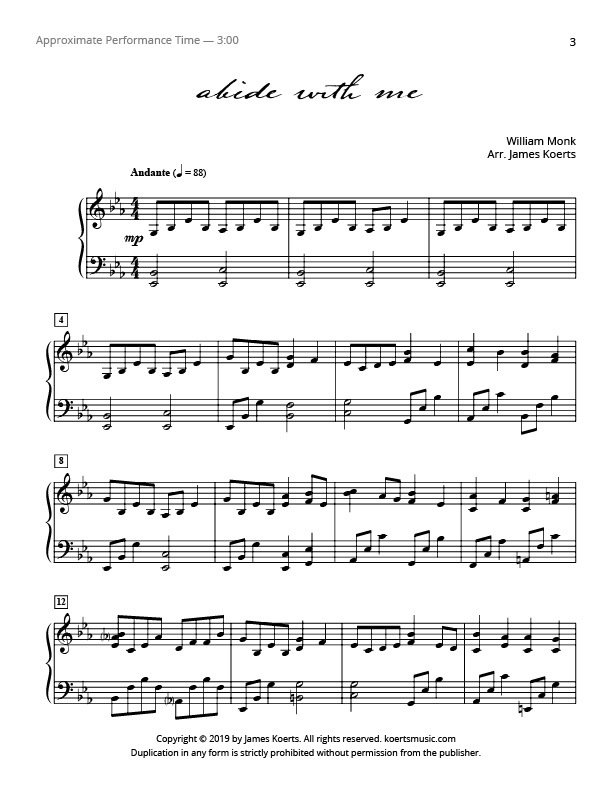 I am a piano teacher and have used your arrangements for my students…they love them. 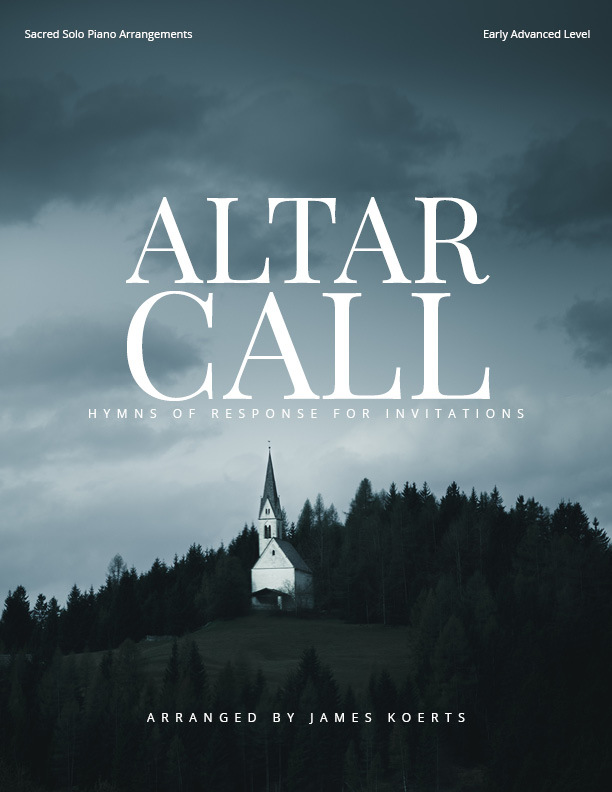 They challenge me to think outside the traditional box of hymn playing when I do congregational playing.